The goal of this paper was to synthesize and characterize core–shell iron-carbon nanoparticles. For this purpose, nanoparticles were synthetized via a hydrothermal co-precipitation route, applying a 22 factorial experimental design with a central point, and varying both the concentration of the iron precursor (iron nitrate) and the reaction temperature. The nanoparticles were characterized via the following analysis: vibrating sample magnometry (VSM), X-ray diffraction (XRD), Fourier transform infrared spectroscopy (FTIR), energy dispersive X-ray spectroscopy (EDX), high resolution field emission gun scanning electron microscopy (SEM/FEG) and transmission electron microscopy (TEM) analysis. The results showed that the hydrothermal co-precipitation synthesis route enabled the production of Fe3O4–Fe2O3@C core–shell nanoparticles with dimensions between 4 and 8 nm. 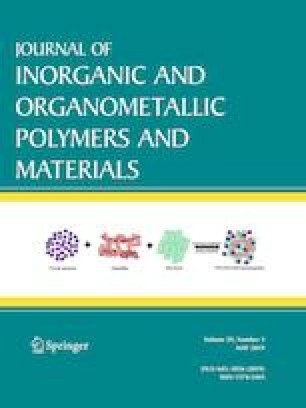 An increase in iron nitrate concentration and temperature during synthesis entailed a decrease in the remnant field and the magnetization of the nanoparticles. We acknowledge research supported by LCME-UFSC and financial support from the Ministério da Ciência e Tecnologia/Conselho Nacional de Desenvolvimento Científico e Tecnológico (MCT/CNPq/Brazil) and CAPES.